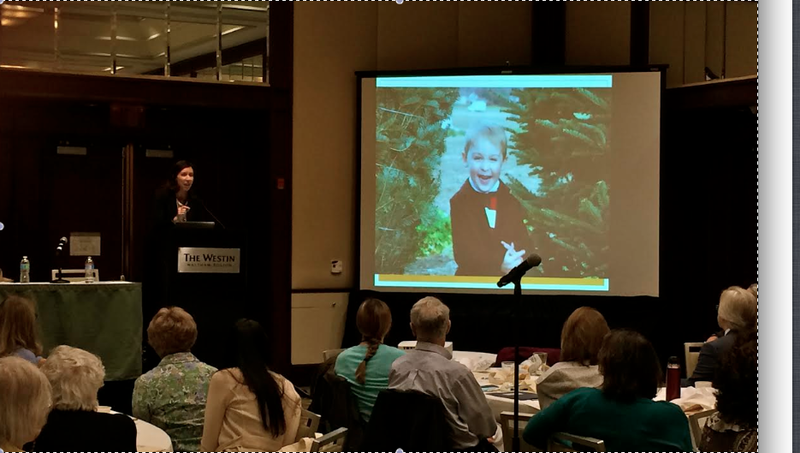 On November 13th I had the privilege of speaking at From Care to Cure, an FTD Education Event for caregivers presented by the Frontotemporal Disorders (FTD) Unit at Massachusetts General Hospital. I was also one of the conference organizers. The day encompassed scientific presentations, workshops to manage the practical aspects of caring for a loved one with FTD, and an opportunity for caregivers to connect with one another. I am proud to say that it was a powerful day, providing us with updates on FTD research and hope for future generations of families. The following are my remarks from the day. Sharing my story in a public way is an emotional, and important experience for me. I hope that by sharing my experiences, I can make the caregiving journey easier for families today. I am thankful to Dr. Dickerson, director of the FTD Unit, for giving me this opportunity, and for the FTD community for all the love and support they give me every time I speak. Good afternoon everyone and thank you so much for coming today! As I look out at the crowd I see many familiar faces, for those of you who don’t know me, I am Katie Brandt. I am the New England Regional Volunteer Coordinator for the Association for Frontotemporal Degeneration. I am the Patient Family Liaison at the FTD Unit at MGH. And, I am a co-facilitator of the Boston-area FTD Support Group. What is most important for you to know is that I am a caregiver. At the age of 29, my husband Mike was diagnosed with behavioral variant FTD. At the time, we had been married for 6 years, and our son Noah was 10 months old. As if FTD wasn’t enough, 4 days after Mike’s diagnosis, my mother died unexpectedly of a heart attack. Seventeen days after that, a diagnosis of early onset Alzheimer’s was confirmed for my father. He was 59. At the age of 29, my world was turned upside down. I left my career, let my house go to foreclosure and became engulfed by my new roles as a single parent for Noah and a caregiver for Mike and Dad. Noah and I moved in with Dad and I found an amazing neuro rehabilitation center to care for Mike. I juggled babysitters, home health aides, medical appointments and visits with Mike. Despite dementia’s looming presence, Mike, Noah and I figured out how to be a family. But, it wasn’t easy. Caregiving tried to take me down. I lost 15 pounds without trying, developed chronic hives due to stress and was perpetually exhausted. Skinny, speckled and sad, I was almost 3 years into my caregiving odyssey as we approached what would be Mike’s last Christmas. In an effort to overcompensate, I let Noah pick out a 12 foot Christmas tree, thinking it would enhance the magic of the holidays for him. Late one night after finishing chores and checking on Dad and Noah one last time, I was about to head to bed when I realized that I hadn’t watered the tree. I dreaded this task because I knew I would have to move gifts and wiggle under the thick lower branches to reach the tree stand’s water reservoir. I sighed and filled a pitcher with water, shuffling in my slippers across the living room floor and flattened myself against the cold hardwood to give our monstrous tree a fresh drink. Just as I was tapping the last drops against the trunk, I saw the base LIFT off the floor and all of a sudden the whole tree tipped forward and crashed on top of me. Ornaments broke. Water and pine needles ran down the collar of my robe and into the neck of my pajamas. My hair was tangled in branches and Christmas lights. The tree was heavy. It was crushing me. And I just laid there. I realized that no one was coming. I was alone in my predicament. I had a choice to make: Lay on the floor until Dad and Noah woke up in the morning, or heave that huge balsam off of me and go find some new pajamas. After a few moments, I became exasperated. After everything I had been through, I certainly wasn’t going to let a Christmas decoration bring on my demise. Somehow, I maneuvered out from under the tree and shoved it in a corner until the next morning when I redecorated it and tethered it to the wall. A few months later, Mike’s journey with FTD ended. And, when he left us, I felt crushed. The heavy weight of sadness as palpable as a forest of trees upon my chest. This didn’t surprise me, I expected the tidal wave of grief to try and smother me, what I didn’t know was that I would have the opportunity to make a choice that would change the trajectory of my grief. And, I wouldn’t have to do it alone. The staff of the FTD Unit was there, extending support to help me make a powerful choice. With their guidance, I was able to help Mike give the precious gift of brain donation. For me, this was the first step in taking some of the power back from FTD. Since Mike’s passing in 2012, I have become an advocate, educator and trainer in the areas of FTD and caregiving. I have given presentations at colleges, conferences, hospitals and skilled nursing facilities. I have spoken in Washington DC and was a featured speaker last February at the Boston Rare Disease Day event at the State House. In that moment, her confidence in me felt as real as if she had just spoken the words aloud herself. Mom could never have imagined that I would have this story to tell. But, her belief in me was steadfast. And, I sure don’t want to let her down. 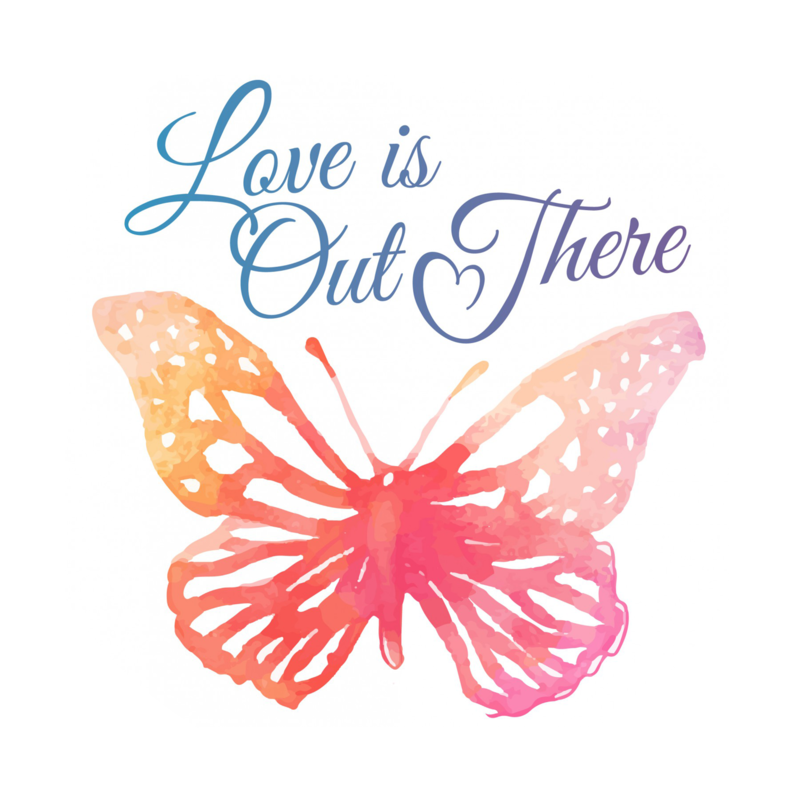 I set out on a 36-day campaign, Love Is Out There, in honor of what would have been Mike’s 36th birthday this upcoming March and mobilized thousands of people through social media, fundraising events, and a letter writing campaign. The goal? To get on the Ellen DeGeneres Show in honor of Rare Disease Day this upcoming February. The outcome? Funds were raised, connections were made, and the requests are still being sent to Ellen. In fact, each of you can go on to my website, KatieBrandt.org, and submit a request to Ellen on my behalf. The website provides all the information you need and it will only take a few moments of your time. Let me be clear: My drive to get on an afternoon talk show is not because I am hoping to become a reality TV star. This campaign is about sharing the story of caregiving and spreading awareness. In my early days of caregiving I felt isolated and alone. Many of my friends and family members stayed away because they didn’t know what to do or how to help. But there were others: Girlfriends who showed up with a bottle of wine. Women from my church who took Dad once a week. My best friend’s mother who would bring me dinner, just because. We don’t yet have a cure for FTD, but there is a cure for loneliness and isolation! No caregiver should feel alone. They need to know that resources and support exist. Community members need to know that they can help. We can all play a role in making that part of the caregiving journey easier. Today, caregiving is easier than it used to be for me. Noah and I have a lot of fun together. I have a good system of care in place for Dad. I go out on Saturday nights! And, I am no longer speckled with hives. I have a strict height limit on Christmas trees and I am hopeful about what might be next in my life’s love story. You know, even if I could make it rain Benjamins over MGH, even if I shared my story on every media outlet in the country, to me, nothing will ever be as significant as my decision to donate Mike’s brain for research. This was my power play against FTD. The caring clinicians and expert researchers of the FTD Unit are poised and ready to receive the irreplaceable gifts that only our loved ones can give. If someone you love has a Frontotemporal disorder, you know that life is not fair. We are unwilling members of an elite club. We are also stewards of a gift that is priceless and precious. A gift that can change the trajectory of care and a cure for future generations. FTD thinks it is all-powerful. Let’s not be afraid to take that power back.